In the Commonwealth of Virginia, people charged with committing a crime are aggressively prosecuted and can face harsh penalties if convicted. Unfortunately, this is also true when the individual is a juvenile who may have made a mistake and violated one of Virginia’s criminal laws. If convicted, juveniles can be incarcerated in a juvenile facility and have a permanent criminal record that can have consequences for the rest of their life. If your child is facing juvenile criminal charges in Fairfax, our experienced juvenile criminal defense attorneys are here to help mount a strong defense that can lead to the charges being dismissed or reduced to a less serious offense with less harsh penalties. Underage drinking and driving. In Virginia, an individual under the age of 21 can be charged with DUI if he consumed any alcohol and drove a motor vehicle or had a blood alcohol content of 0.02 percent or higher when operating a motor vehicle. This is a Class 1 misdemeanor, and the punishment can include up to one year in jail, a fine of up to $2,500, and 50 hours of community service. In addition, a juvenile can have his driver’s license suspended for up to one year and be required to attend substance abuse counseling. Possession of marijuana and other controlled substances. Juveniles are frequently charged with possession of marijuana and other drug offenses. It is illegal to possess, use, manufacture, distribute, or sell marijuana in our state. It is equally illegal to possess a controlled substance for which the juvenile does not hold a legitimate prescription. The type of substance that is possessed will determine whether the offense is a felony or a misdemeanor. Additionally, in the case of marijuana, if the juvenile had the intent to distribute it or did distribute it and had more than 1/2 ounce of it, then it would be a felony. All marijuana offenses that involve less than 1/2 an ounce of marijuana, or do not involve distribution, are misdemeanors. Shoplifting. Shoplifting is a larceny crime that can involve concealing or possessing merchandise from a store, altering price tags, or transferring goods into another container to deprive the owner of the full value of the merchandise. It is charged as a Class 1 misdemeanor if the value of goods is less than $500 and as a felony if the value exceeds $500. 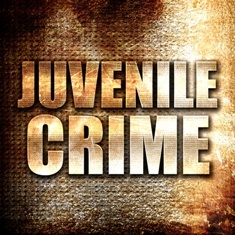 While a juvenile’s case may be handled through the juvenile justice system, he may have a permanent criminal record if convicted of a felony. Assault and battery. Assault and battery can also be charged as a misdemeanor or a felony in Virginia. Attempting or threatening to injure another person with the intent to do so is assault, and battery is committed if there is actual physical contact. Many juveniles may not realize that statements or actions made in jest or due to immaturity can result in being charged with these crimes. If the assault or battery occurs on school grounds, on a school bus, or at a school-sponsored event, it may be charged as a Class 6 felony that carries a punishment of a possible prison sentence and fine. Additionally, if the victim of the assault or battery is in a special protected class, the offense is also a Class 6 felony and carries mandatory jail time that may be imposed on the juvenile under certain circumstances. Possession of a firearm by a minor. It is a crime for any minor under 18 years old to knowingly possess or transport a handgun or assault firearm in Virginia. This is a Class 1 misdemeanor punishable by a jail sentence of up to 12 months, fine not to exceed $2,500, and forfeiture of the weapon. It is a Class 6 felony for anyone—including juveniles—to possess a firearm on school property. A Class 6 felony conviction can result in up to five years in prison and a $2,500 fine. If you or a loved one is facing criminal charges as a juvenile in Fairfax or Northern Virginia, our experienced juvenile criminal defense lawyers are here to help. Schedule your free consultation to learn what your teen can expect and about our decades of experience successfully representing minors and adults facing a variety of criminal charges.